Marriage is a form of contract. But when you’re caught up in the excitement of getting engaged and planning the wedding and your life together, it can be easy to forget this. During the marriage ceremony you make solemn promises to each other. By getting married you and your husband or wife gain legal rights and responsibilities towards each other. And if your marriage subsequently breaks down, you’ll need to get a divorce to formally and legally end the marriage. Most people are aware of this. But what many people don’t know is how exactly to go about getting a divorce. After all, it’s not an everyday activity, and not one that you think will ever apply to you. But in the eventuality of your marriage breaking down, it’s important to understand the procedure. It is sure to be an emotional time, and getting to grips with the facts can help you focus on what you need to do and when. Either spouse can start divorce proceedings after one year of marriage. The person starting the process is known as the ‘petitioner’ and the other spouse is the ‘respondent’. The petitioner will complete the divorce petition and forward it to the court, along with the marriage certificate. There is a fee payable to the court. The court will forward a copy of the petition to the respondent, who must return the enclosed acknowledgement of service form within eight days. This form asks the respondent whether they intend to defend the petition and whether any claim for costs is disputed. If the respondent plans to defend the petition, they need to do this within 29 days of receiving it. If the petition is defended the procedure set out below does not apply. If the respondent is not defending the petition, once they have returned the acknowledgement of service form, the petitioner can apply for the decree nisi – the first decree of divorce – by completing an application form and submitting a statement in support to the family court. From here, a District Judge will decide whether the petitioner is entitled to a decree. Once satisfied, the court will set a date for the decree nisi to be pronounced and notify both parties. Neither party needs to attend court to hear the pronouncement, although sometimes they may wish to do so if there is an argument about costs. Once six weeks and one day have passed since the date of decree nisi, the petitioner may apply for decree absolute, the final decree of divorce, by sending the appropriate form to the court. Please bear in mind, this is a minimum timeframe and there may be financial reasons to delay applying for decree absolute. If the petitioner does not apply for decree absolute then the respondent may do so, three months after the date when the petitioner could have applied. If there are financial considerations such as pensions, it is often a good idea for the petitioner and respondent to agree that neither will apply for decree absolute until their finances have been sorted. After the decree nisi has been made absolute you will be free to remarry. It is important to remember that once you remarry you may lose important rights to claim financial provision within divorce proceedings. You should therefore always take specialist advice about your situation in good time before remarrying. Do I need to a solicitor in order to get divorced? Strictly speaking, no. The divorce forms can appear straightforward and of late they have been made more user friendly. However, there can be important future financial considerations to think about and without the benefit of legal advice you could inadvertently cause yourself difficulties. 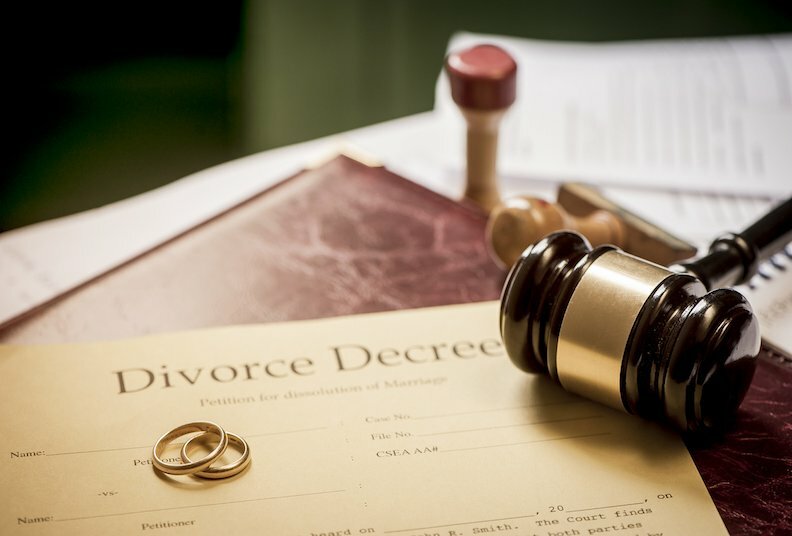 It is important to understand the effect of a divorce, and particularly a decree absolute, on your finances and your financial claims against one another. So it’s always a good idea to get specialist family law advice. There are online companies who offer a form completion service, but while they will process your application, you may not receive tailored advice to your specific situation. The respondent may not not complete and return the acknowledgement of service form. If this happens, you need to prove to the court that the respondent has received the petition and to make a specific application to the court to ‘dispense with service’. You can support your application by showing the court emails or text messages, for example, in which the respondent refers to receiving the petition. Alternatively, it may be necessary to arrange for the respondent to be personally served. This involves a professional person (known as a process server) handing the petition to the respondent in person. Please bear in mind, it does not count if you hand the petition to your spouse directly. In an adultery petition, sometimes people want to name the person their spouse has had an affair with. This is not necessary and can often inflame an already difficult situation. It also doesn’t have any effect on the financial outcome of the divorce. Your spouse will not be financially punished for having an affair. By naming the person in the petition this means they then have to be served with the petition and acknowledge receipt. This can increase your costs and delay the process if they do not engage with the process. The respondent may defend your petition. This is unusual because if one party has decided that the marriage has broken down, this tends to mean that it has. A marriage takes two! Defending a petition will also greatly increase both parties’ costs and delay the process. It is always a good idea to try and agree with your spouse who is going to petition for divorce and what reasons they will give. A draft petition can then be sent to the respondent so they know what to expect and can comment and suggest amendments to any of the information provided in the petition. Nobody goes into a marriage expecting to go through divorce. But if your marriage does end, then it is worth arming yourself with the legal facts to make the whole process as smooth and pain-free as possible.